With the wedding season coming up I am sure all you brides-to-be must be running around helter-skelter trying to get everything just perfect. You probably have everything sorted in your mind - right from the bridal footwear to the way your bridal makeup is going to look. Coming to the topic of makeup, I personally believe that your makeup should elevate and beautify the person that you already are. To me, less has always been more. I am the first one to shy away from heavy makeup for I feel it just doesn't define the person I am, but, well, to each his own. However, I do believe that weddings are a special occasion and you can jazz up all you want on your D-day and go overboard with your bridal makeup on this one day. After all, you have to be the one who stands out from the crowd; plus, the guests are expecting nothing less from you either. 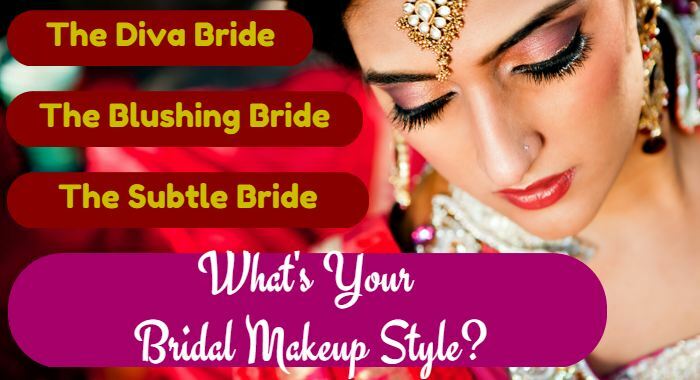 Whether you are like me who prefers less or whether you are like my best friend who prefers more, there are still three major categories under which all bridal makeup can be clubbed into, namely ‘The Diva Bride Look', ‘The Blushing Bride Look' and ‘The No Exception Look'. You can mix up your look all you like within these three sub-categories. For now, here is what they mean. This bride is in love with makeup. She wants to look the best on her wedding day and wants everyone to notice her. Beautifully done heavy bridal makeup is her style. An attention-grabbing hairstyle and dramatized eyes will surely reel her groom in. She is a bride people won't forget easily (for the right reasons though)! She wants to look special on her wedding day no doubt, but doesn't wish to try too hard at it. She is the quintessential blushing bride, who knows she looks stunning but doesn't want to be too obvious about it. Carefully thought out makeup which is neither too loud, nor too subtle works for her. 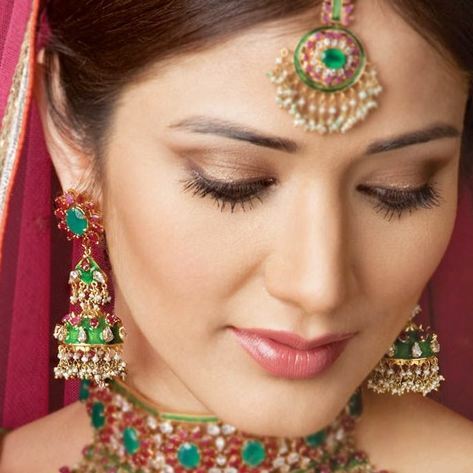 If you're her, complete the look with a tinge of "laali" on your cheeks to get the perfect blushing bride look. She is the no-fuss no-muss bride. She is super excited for her wedding day but can't seem to wrap her head around all the drama associated with it. As such, she is more than happy wearing an elegant wedding dress or joda and completing the look with an elegant ‘no makeup' makeup look. Some base to cover any spots, minimalistic eye makeup and a lip tint and she is all set for her special day. 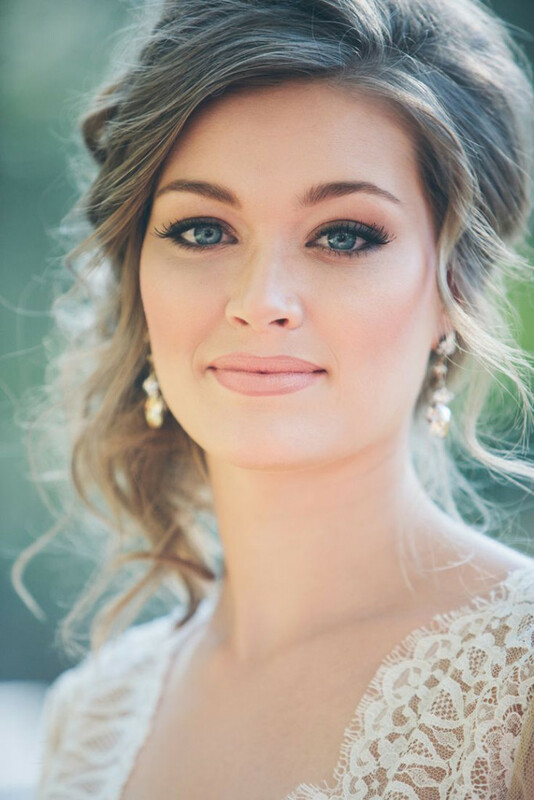 Now that we've helped you understand the kind of makeup that will complement your personality, go ahead and look stunning on your wedding day and let your bridal makeup speak for you!